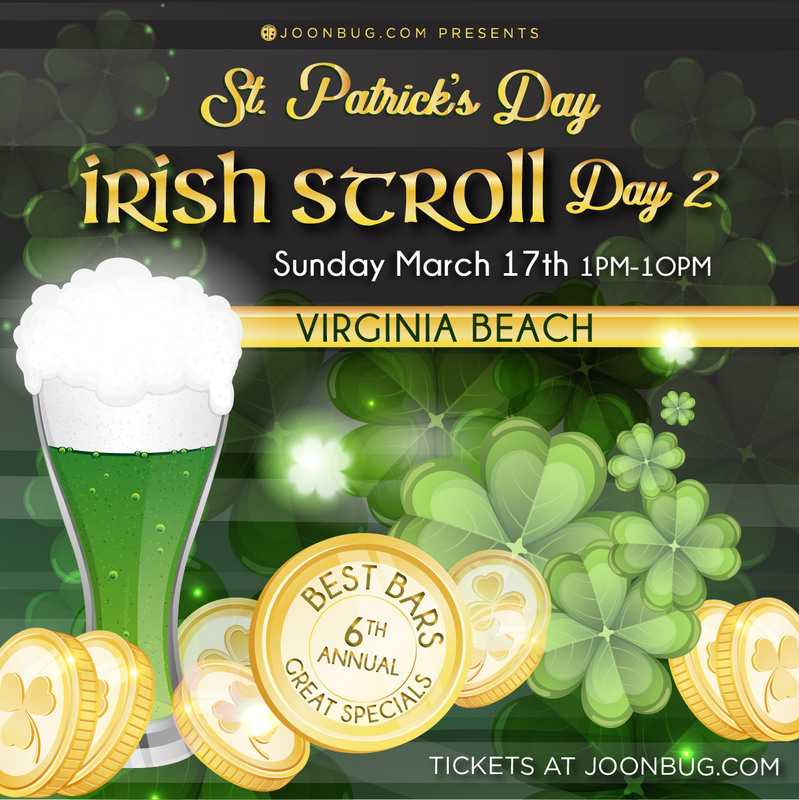 Virginia Beach's Irish Stroll is back on the official St. Patrick's Day holiday for the bar crawl that ends a weekend full of festive celebrations. After the Get Shamrocked party the night before, who wouldn't want to keep the party going? That's why Seattle's best bars and pubs are featuring exclusive drink specials and cover-free entry for those with an Irish Stroll wristband. This is an all-out roaring clover fest, Virginia beach, so don't miss out. Get trolleyed while you chase the rainbow on the St. Patrick's Day Irish Stroll! Remember to get your crawl wristband and venue map at the registration point between 1pm and 8pm so you're ready for a day of rollicking Irish fun. Group discounts and multi-day tickets are also available for green die-hards.